In front of me on an unexplained screen was my worst fear eyeing me dead in the heart. The tumor measured 57.8 x 18.3 mm in my chest: the result of my six month CT scan which was supposed to be clear. All of this was supposed to be over. The next morning, Kevin and I traded off driving into the Colorado mountains with Shiloh asleep in the back – exhausted from the plane ride. As the mouth of Breckenridge opened to us with the snow kissed peaks, I welcomed the soft nibbles of crisp air on my face. We had to get away to process. I’m still processing. Why is this happening? Is it cancer again? What if it’s nothing? Could it be a thyroid issue? What if I have to do chemo again? Wasn’t last time enough? Why can’t I have a normal life? Right now, I’m living off the fuel of faith moment to moment. Some moments I feel robbed of what should’ve been a normal life, but I have to remember that God’s character hasn’t changed just because my CT scan results changed in six months. I don’t know what the biopsy will say. It could be a thyroid issue or something small, or it could be cancer coming for my life again. Right now, I don’t know anything other than there’s something growing in my chest. I will NOT die. I can do this again if I need to. I can be bald again. I can fight again. I will survive again. I am a tough tree. 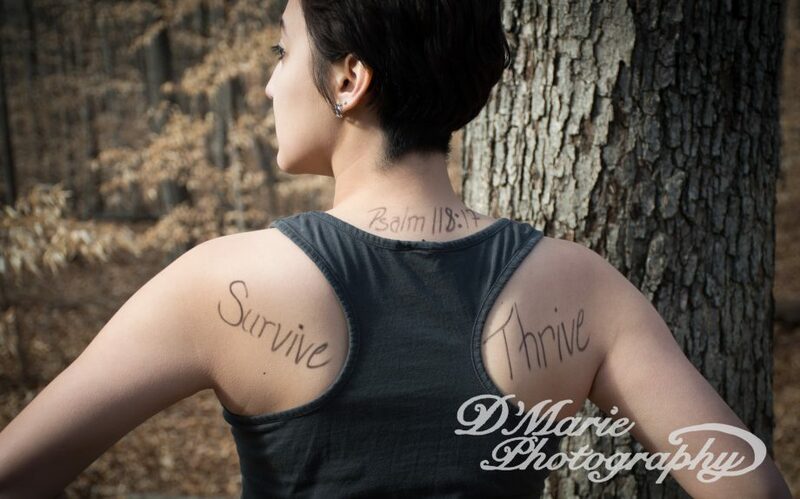 This entry was posted in cancer, chemotherapy, Christianity, faith, life truths, ovarian cancer, writing and tagged cancer, chemo, discover, faith, ovarian cancer, recovery, survival, writing. Bookmark the permalink. I have been reading some of your posts from time to time and just wanted to say that you are incredibly brave and strong to chronicle your journey for the whole world to read. But, you already know how strong you are. Some of your entries remind me of the 9 years my dad went through the rounds of treatments for his multiple cancers while still trying to live a normal life with me, my mom, and my brother. It seems like you have one hell of a support system rooting for your recovery…but as a friend, I am also supporting you. Please don’t hesitate to reach out to me if you ever feel the need.